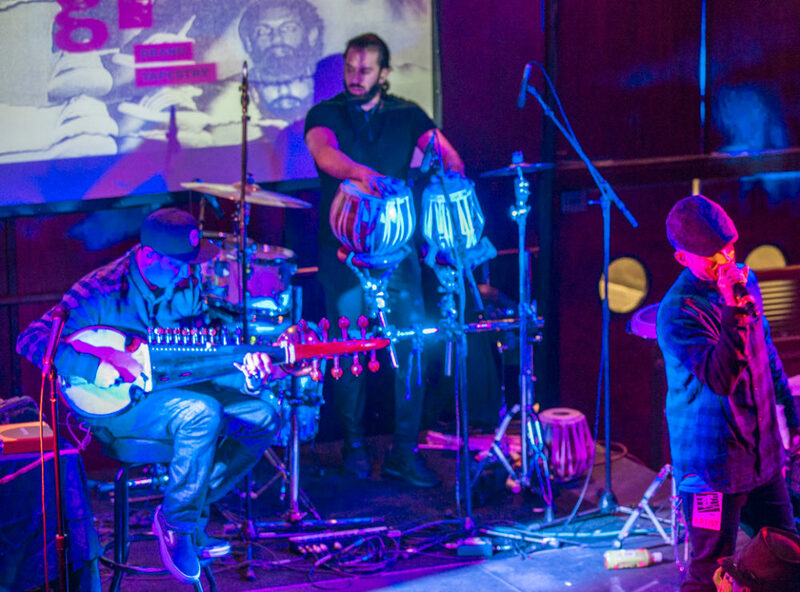 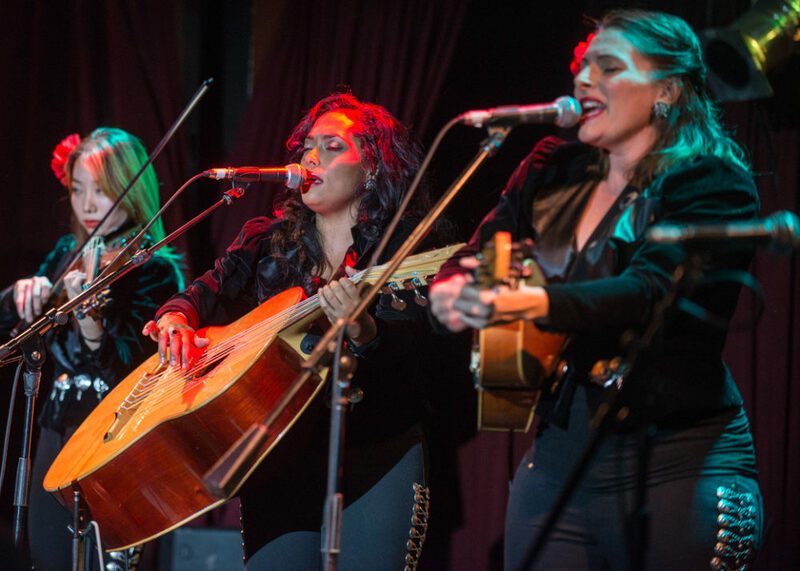 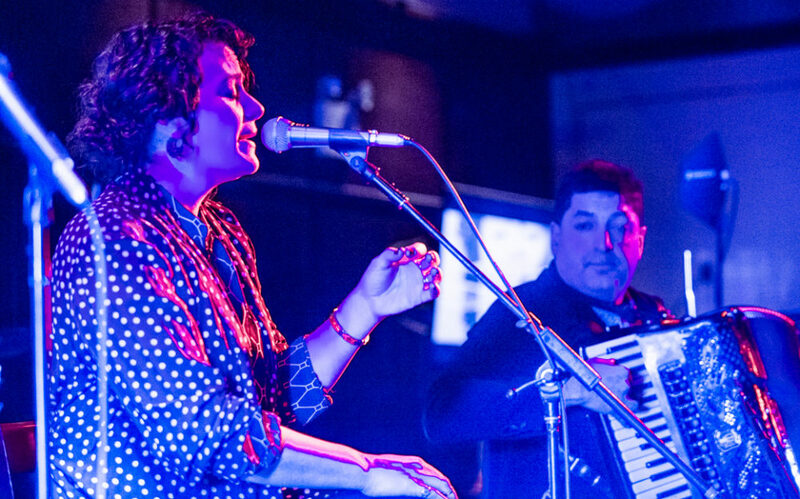 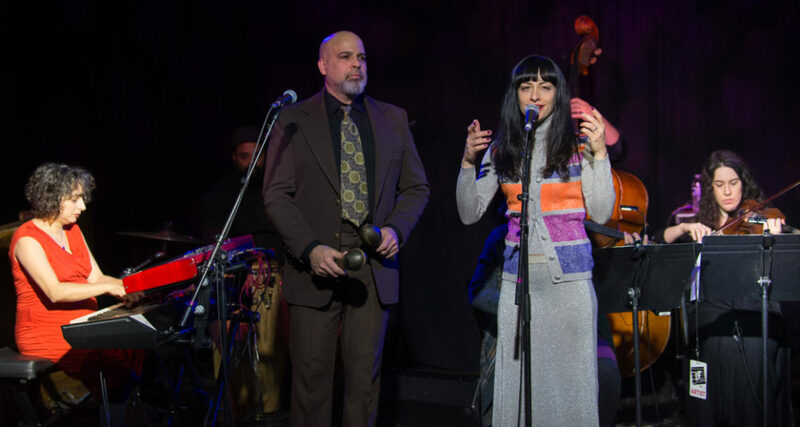 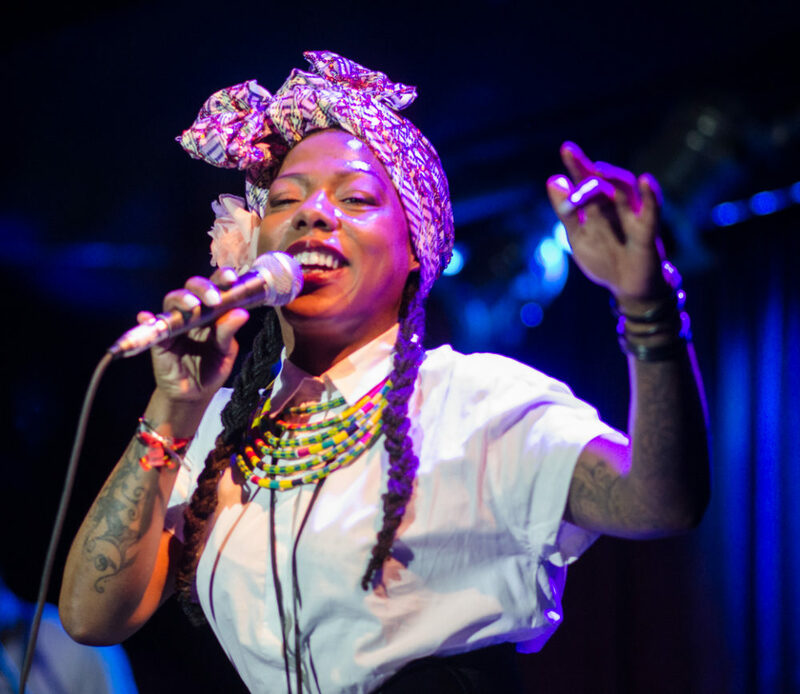 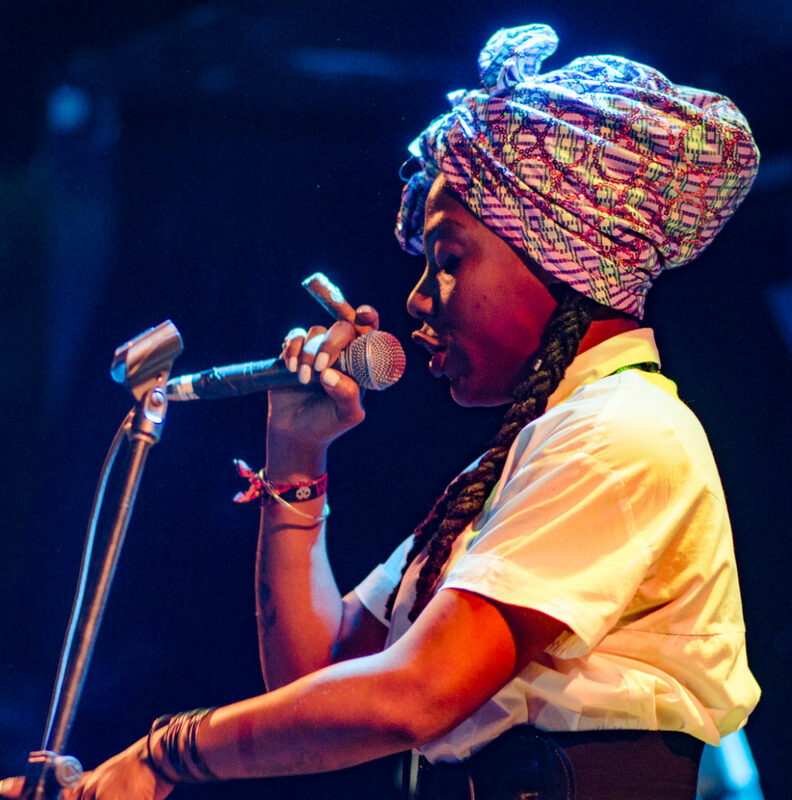 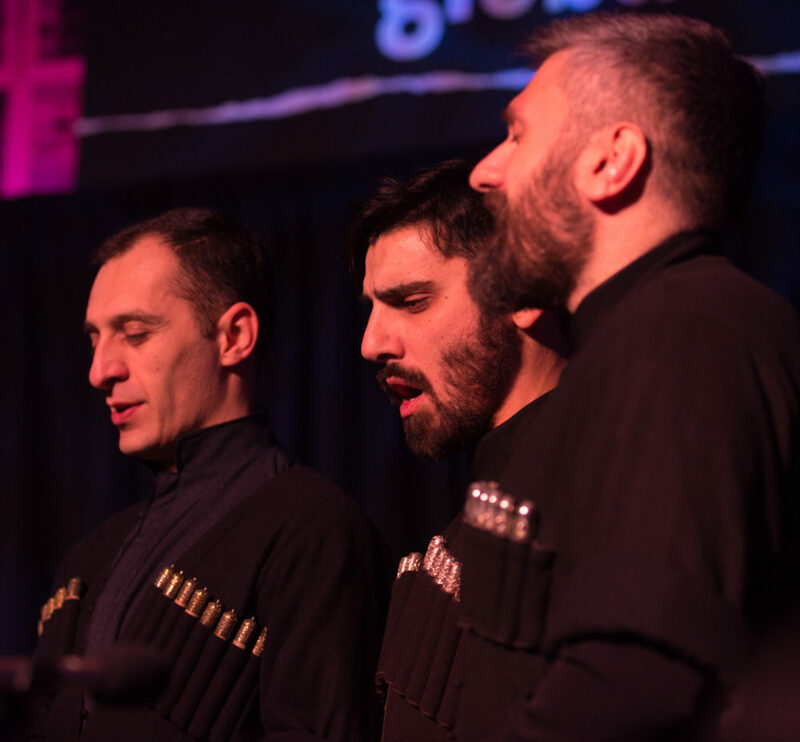 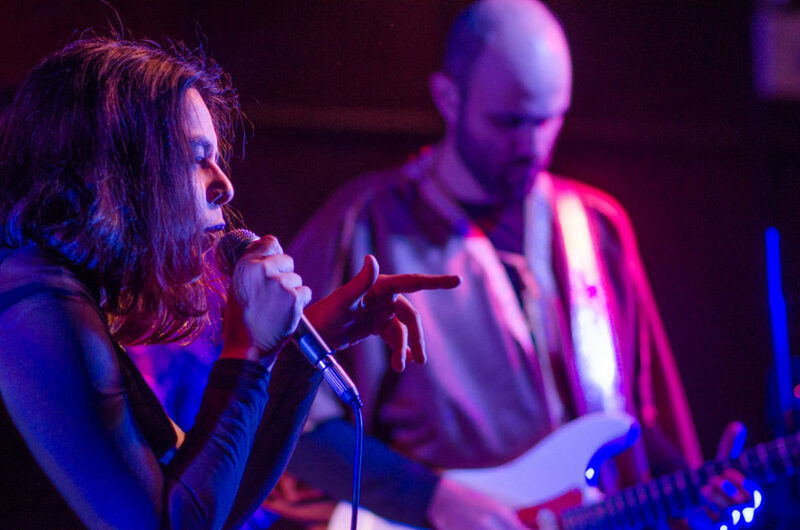 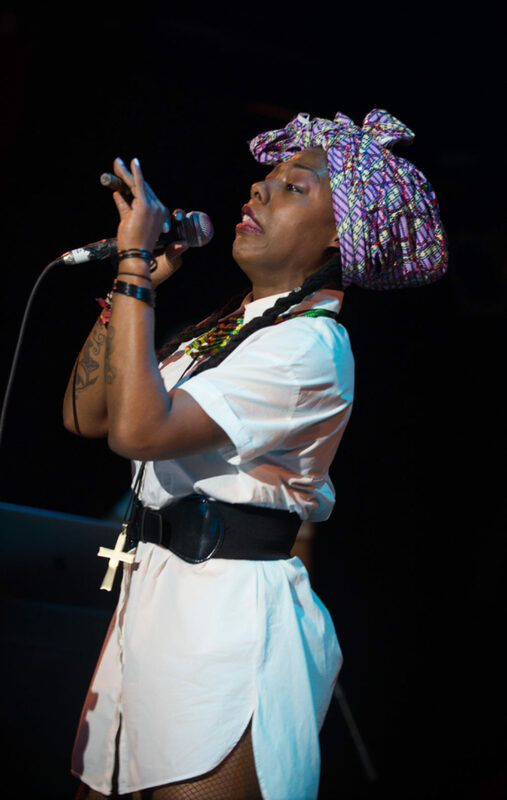 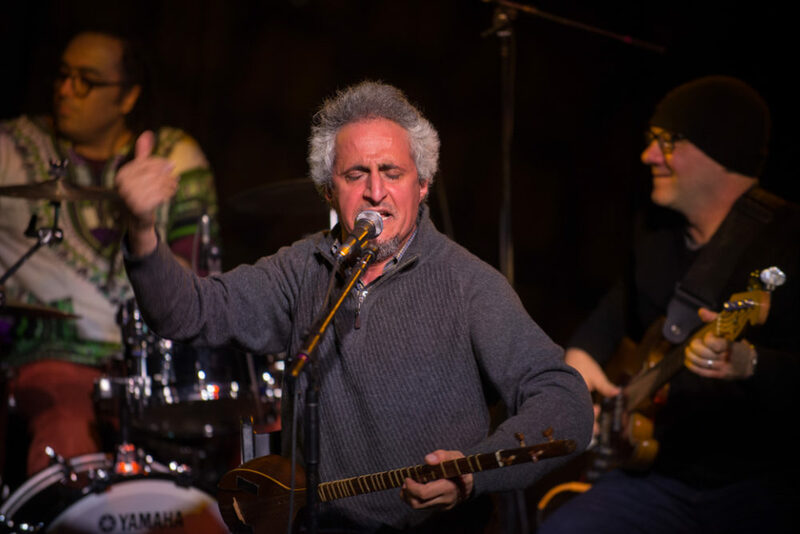 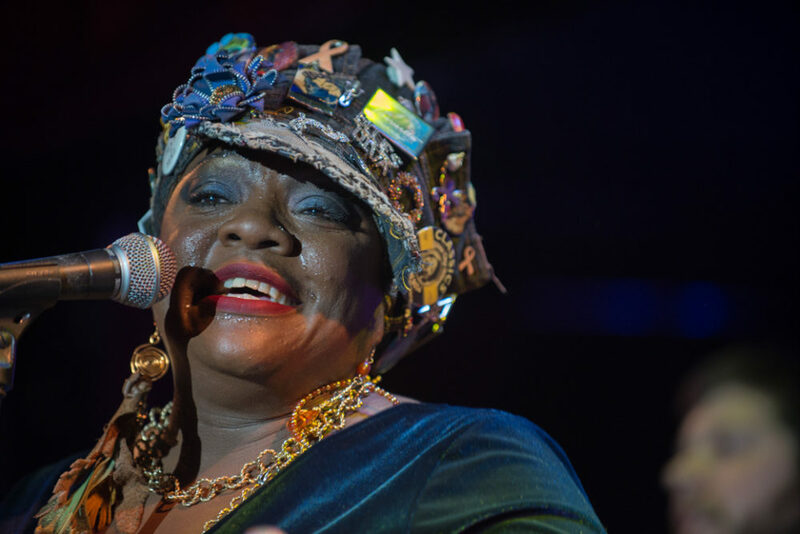 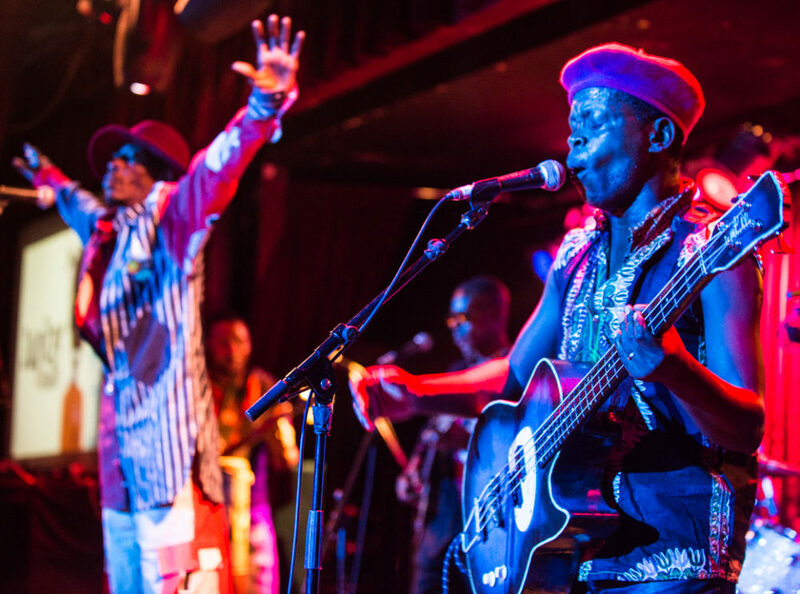 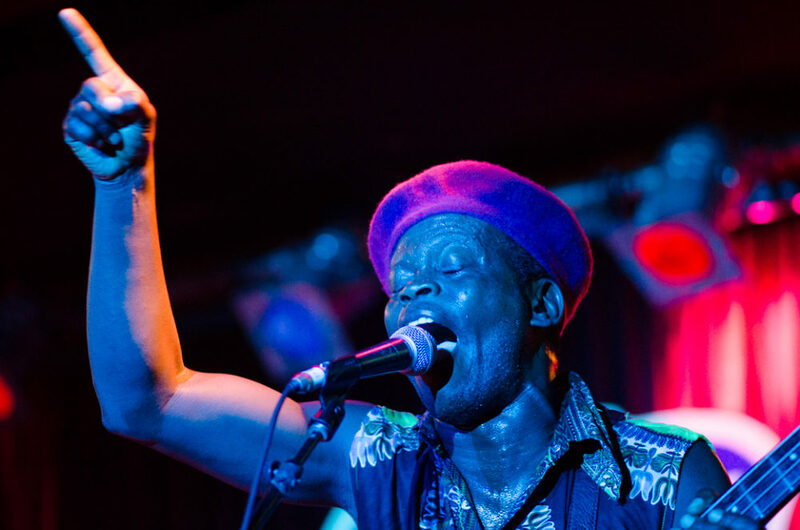 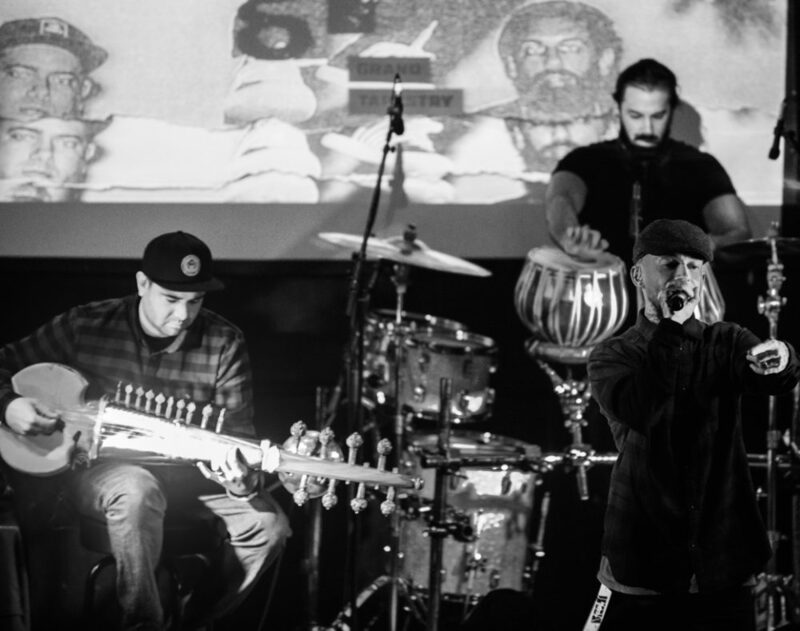 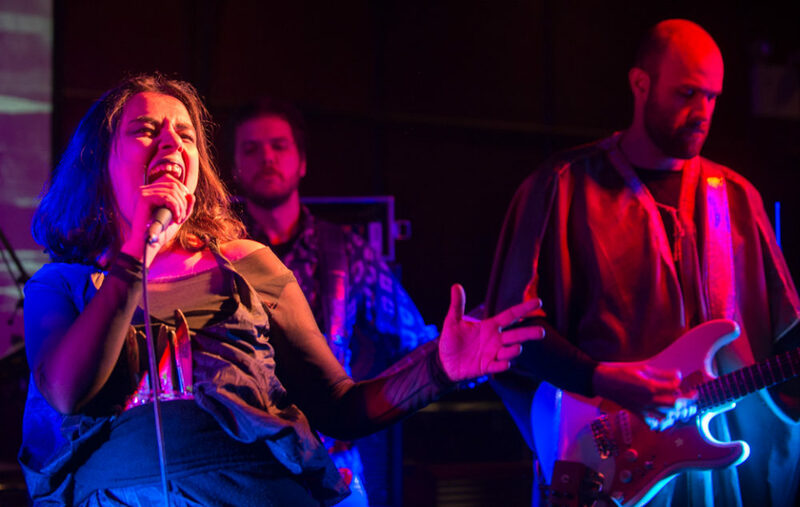 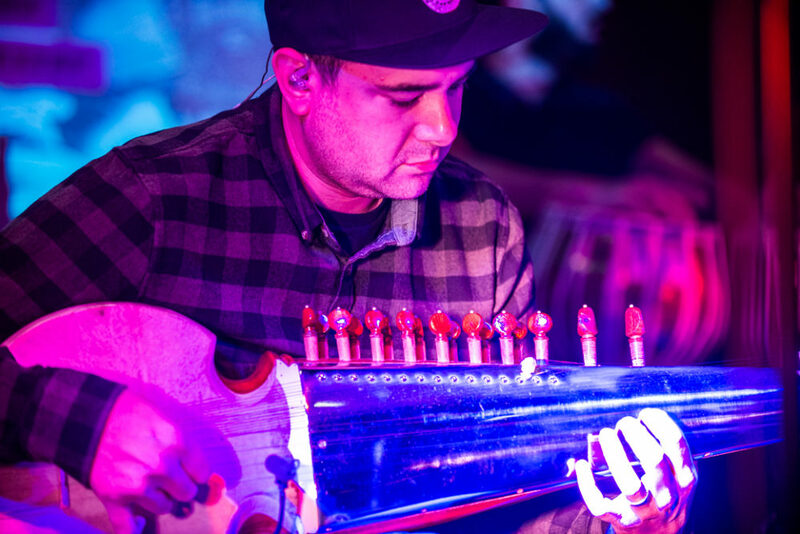 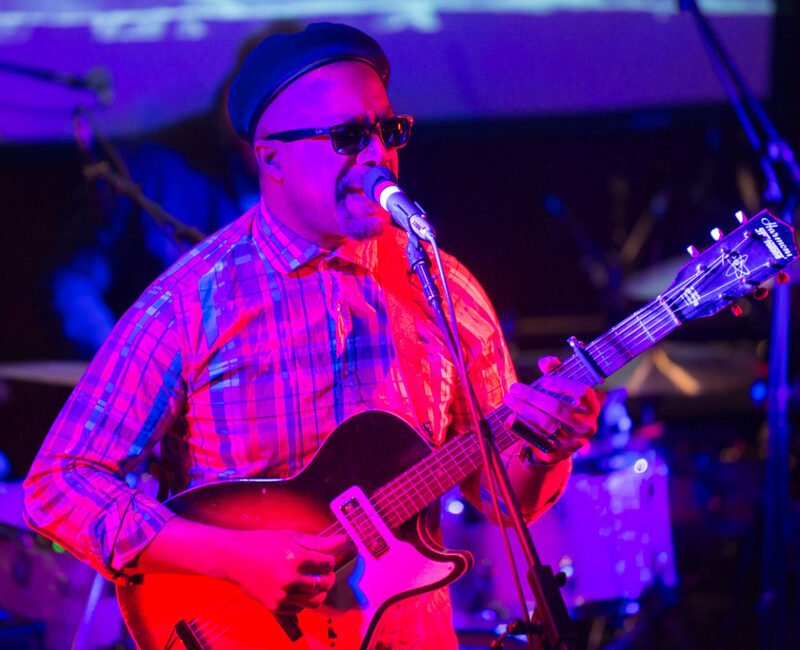 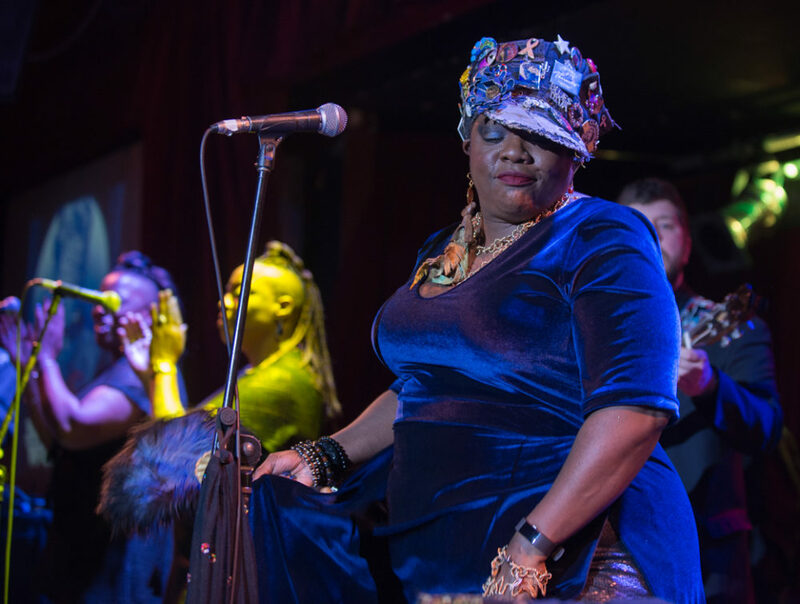 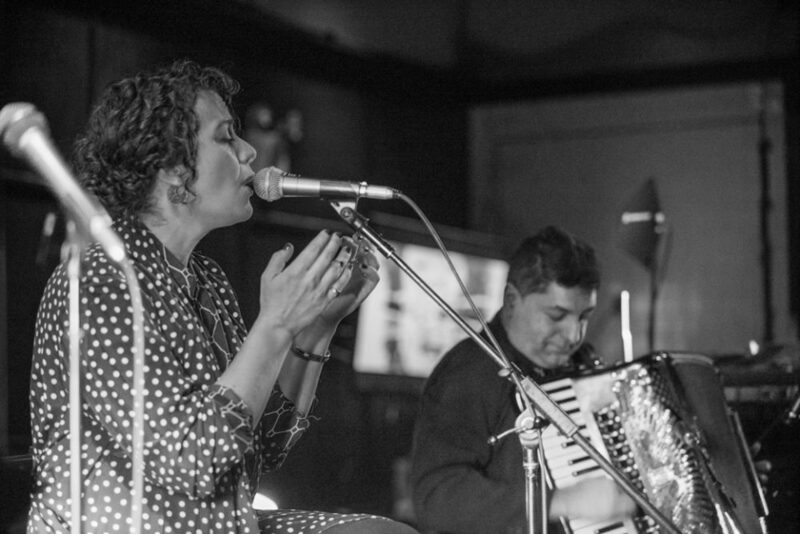 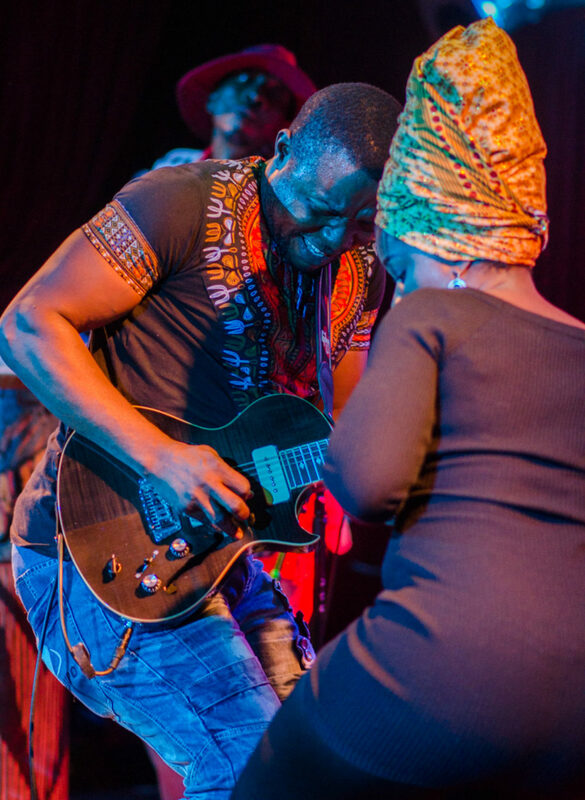 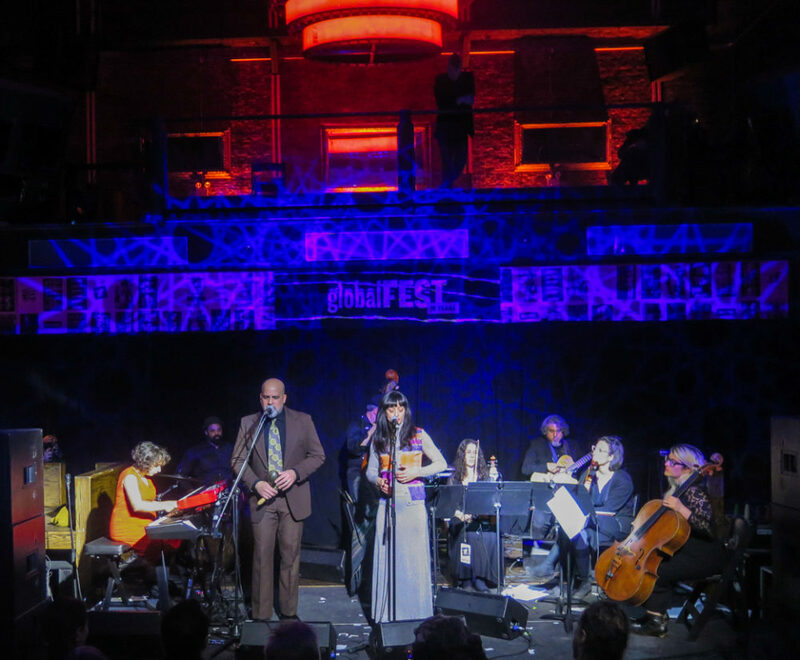 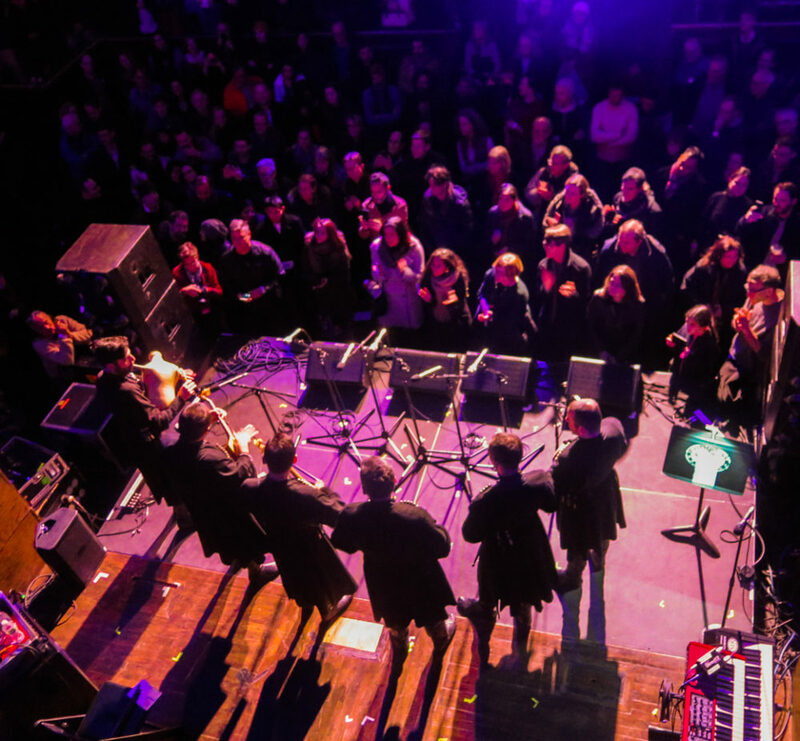 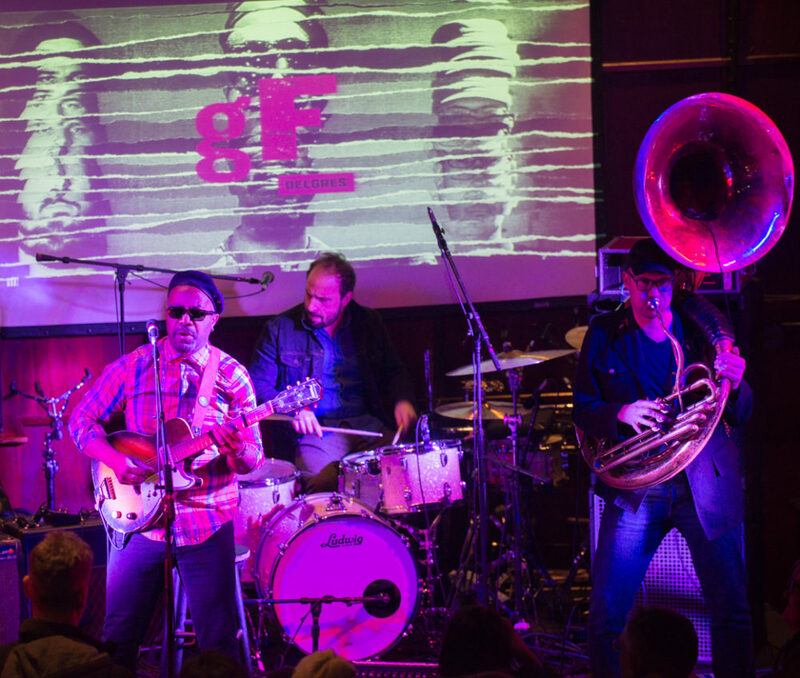 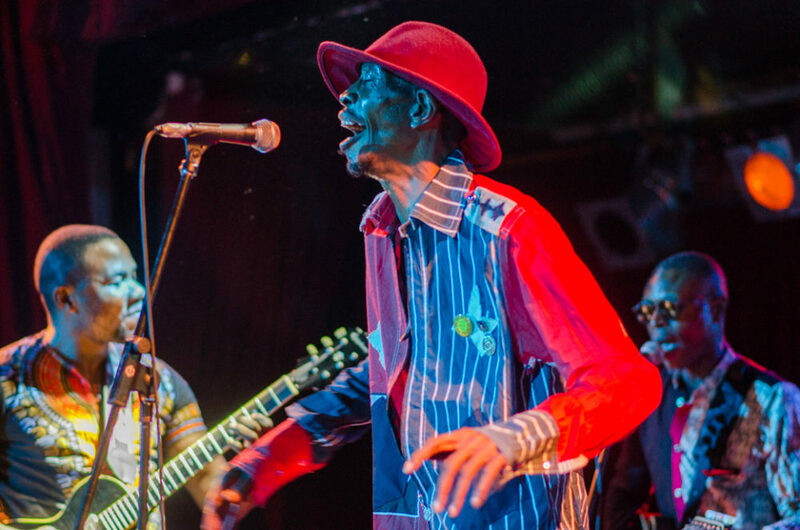 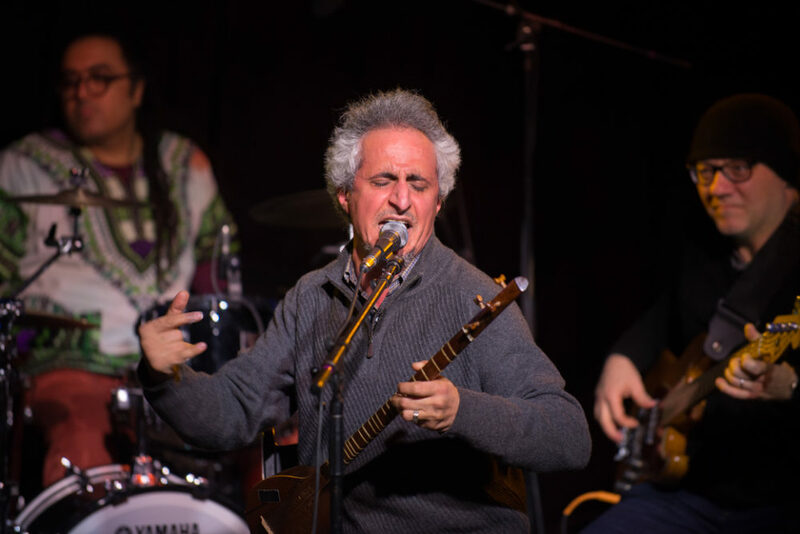 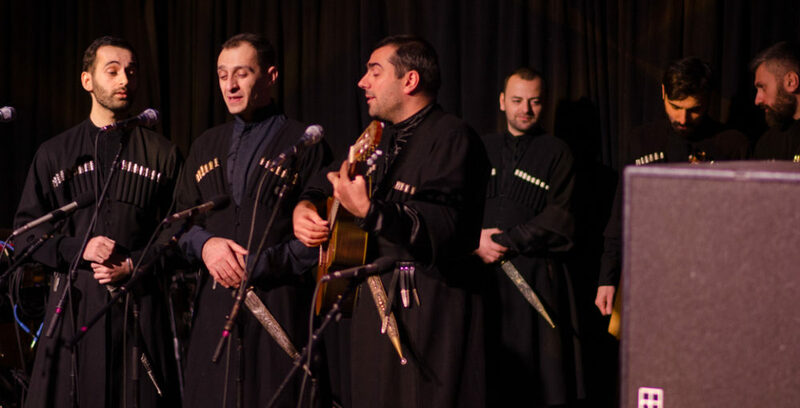 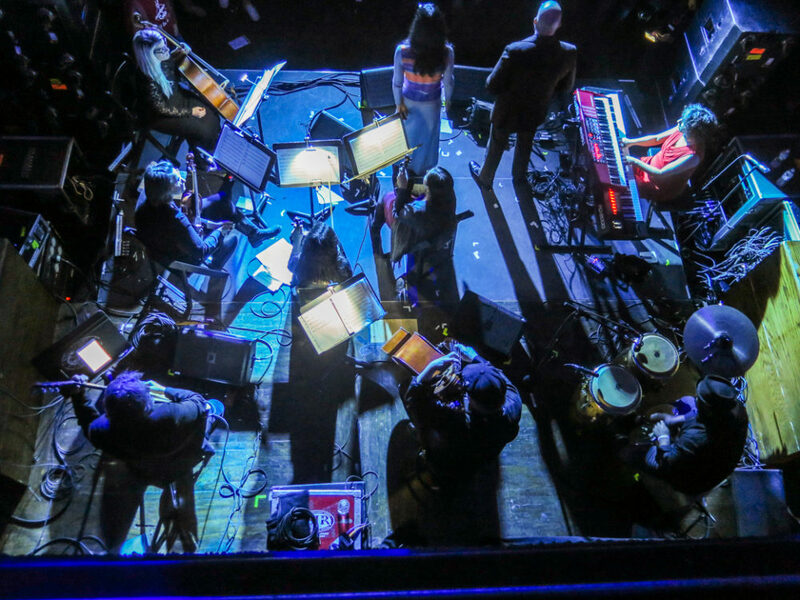 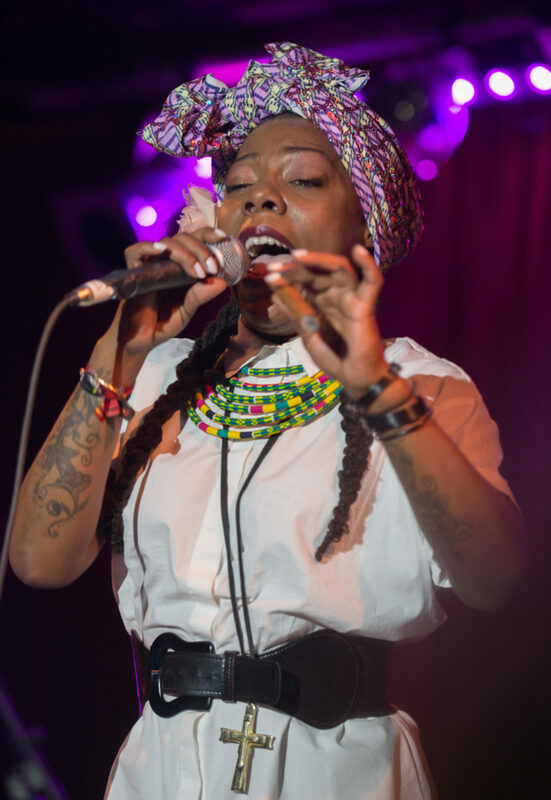 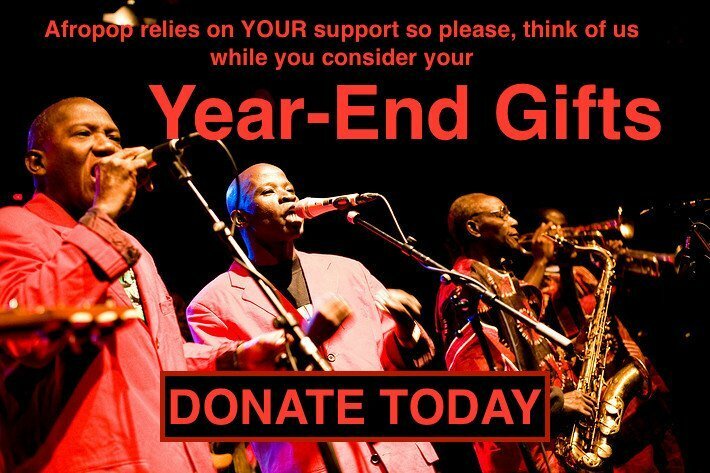 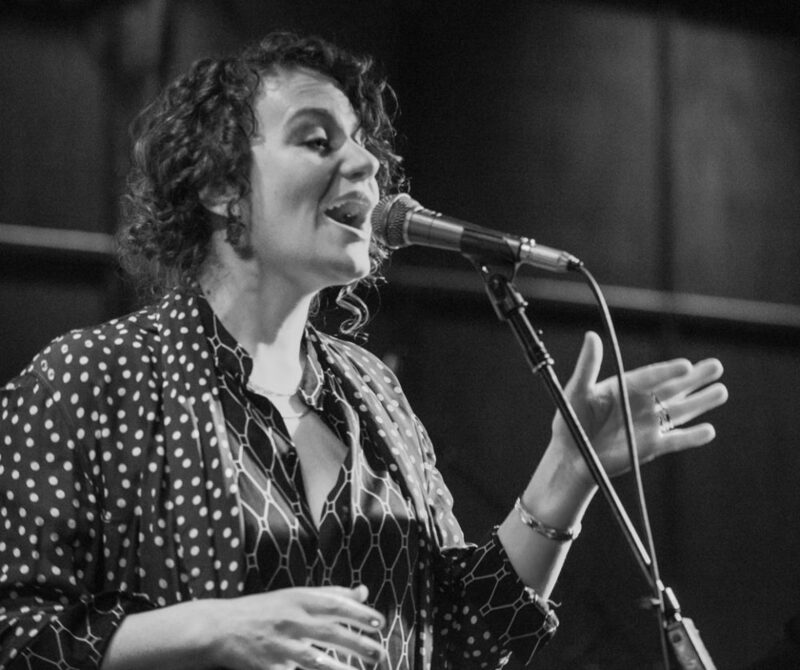 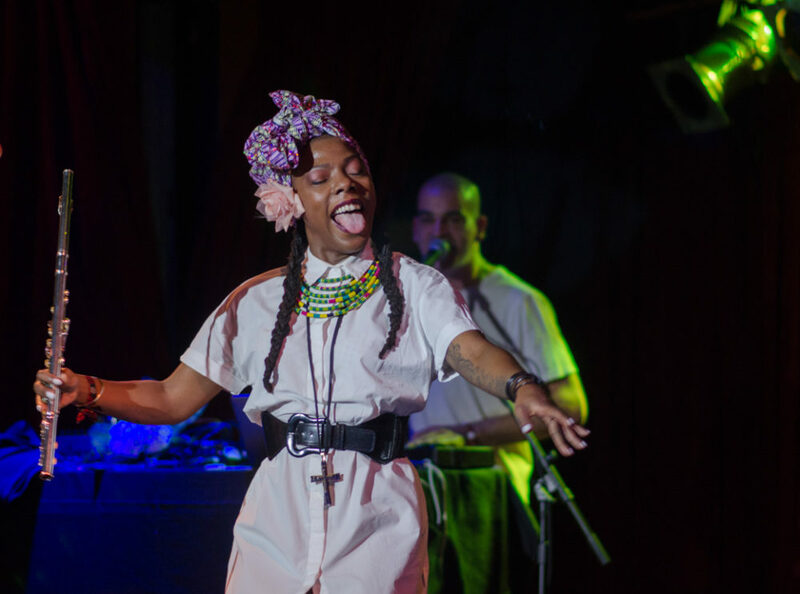 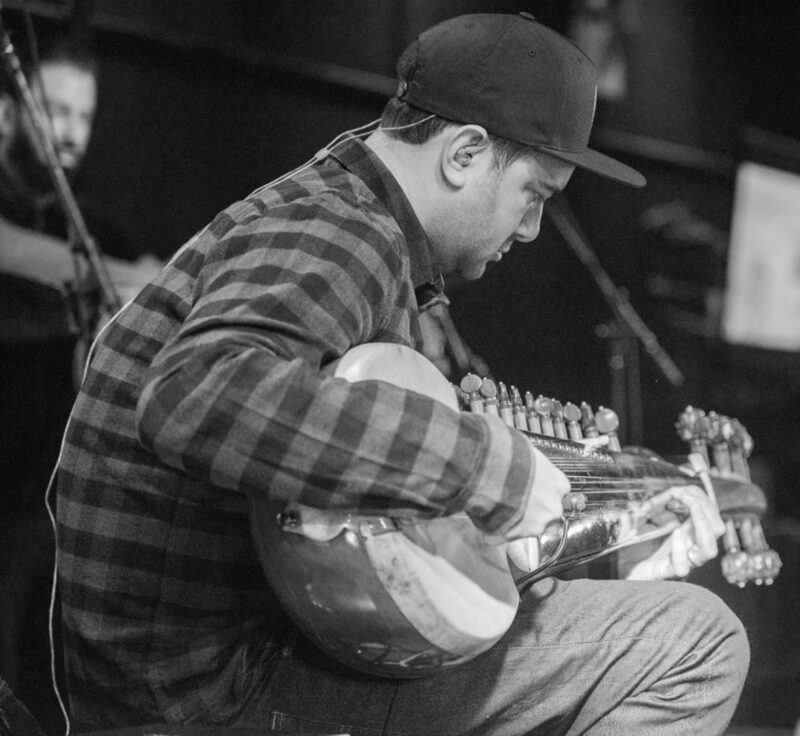 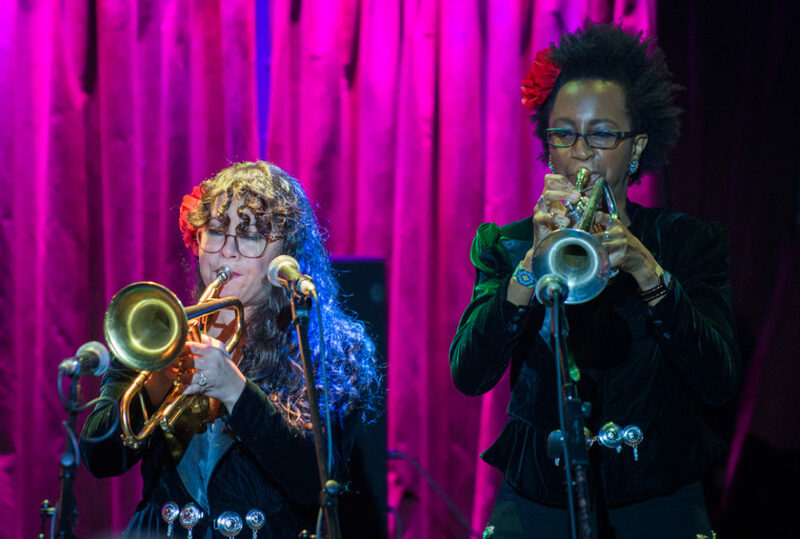 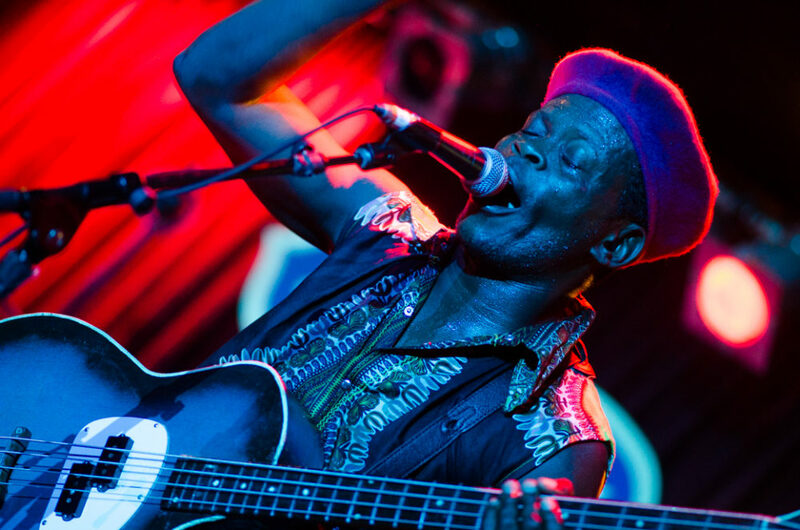 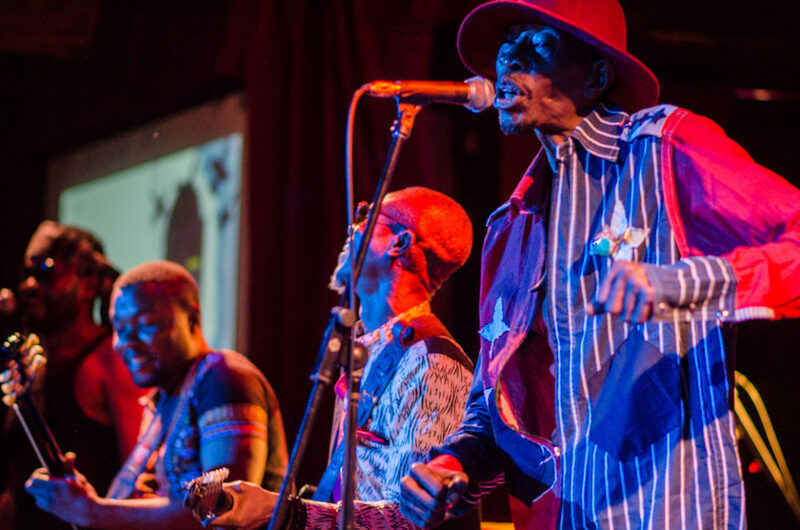 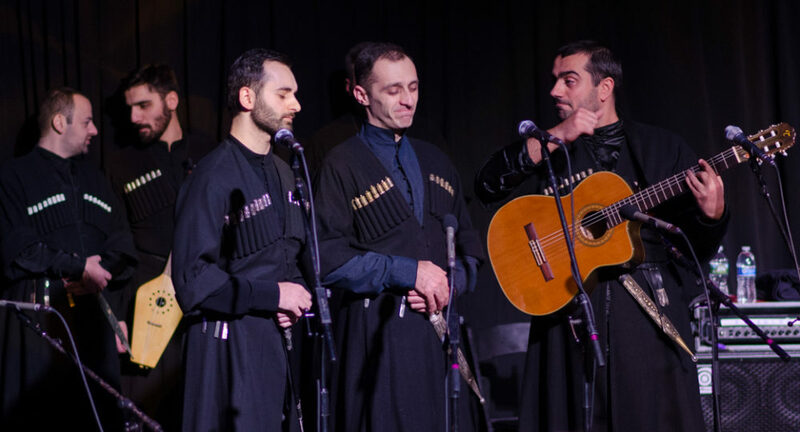 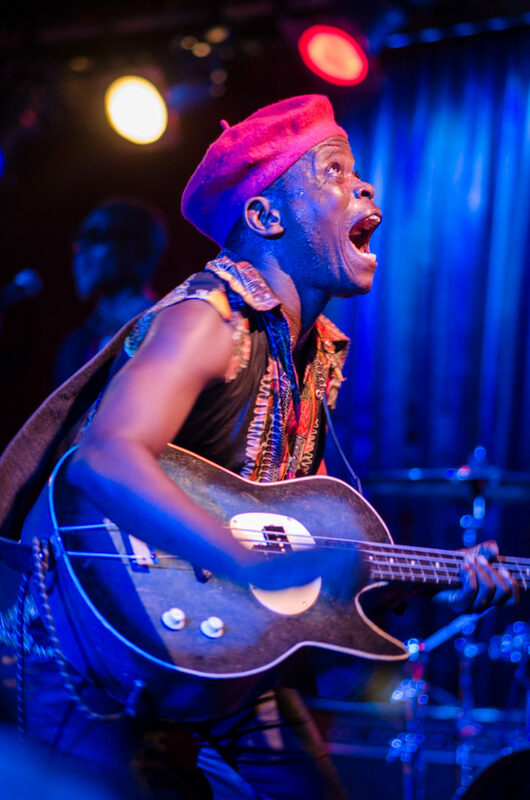 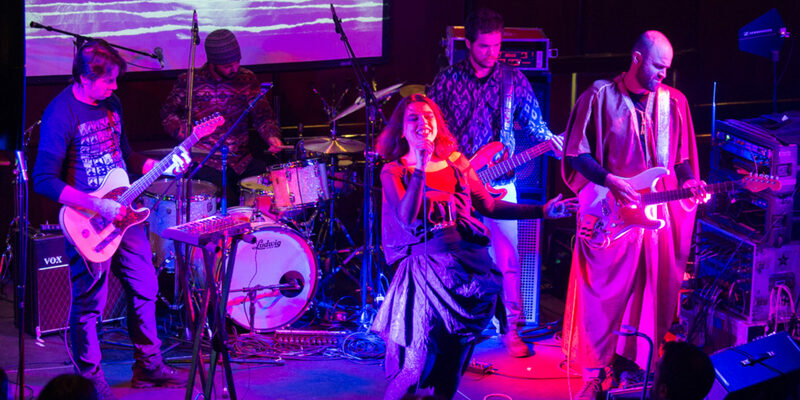 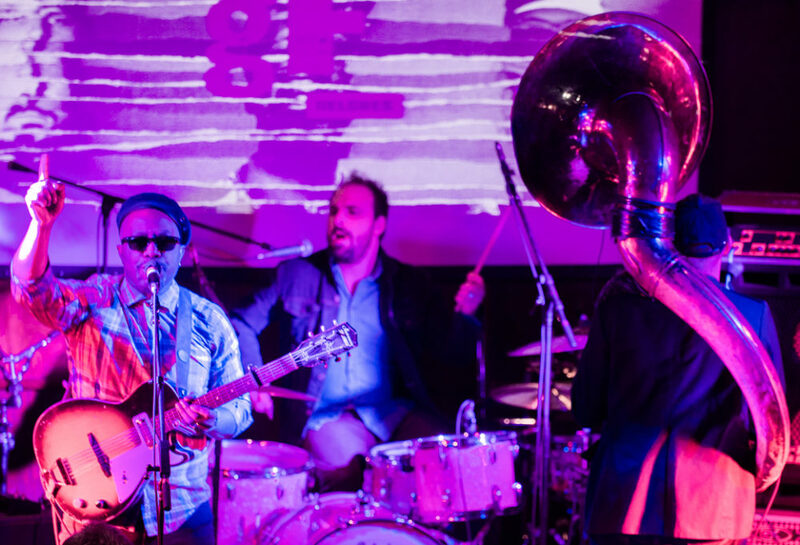 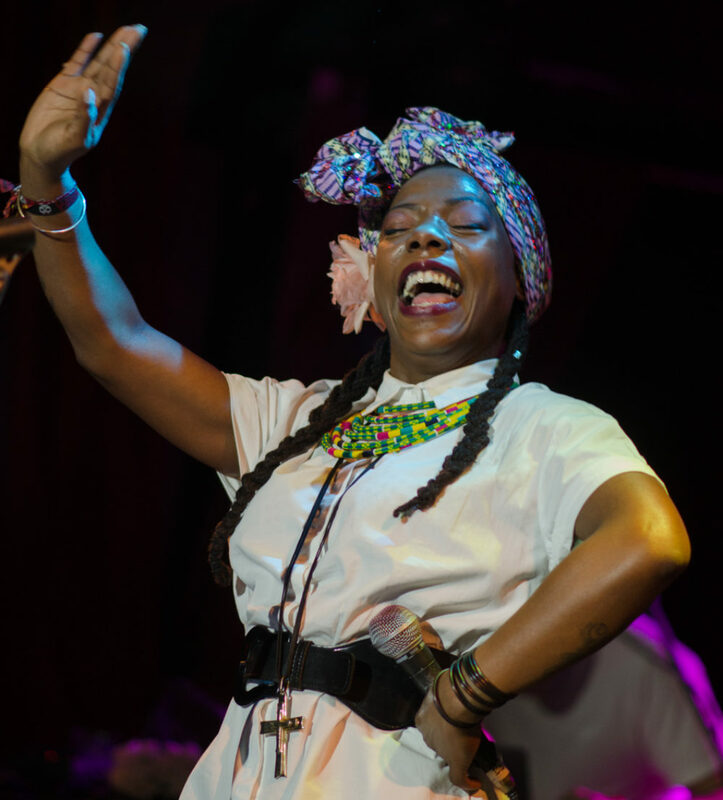 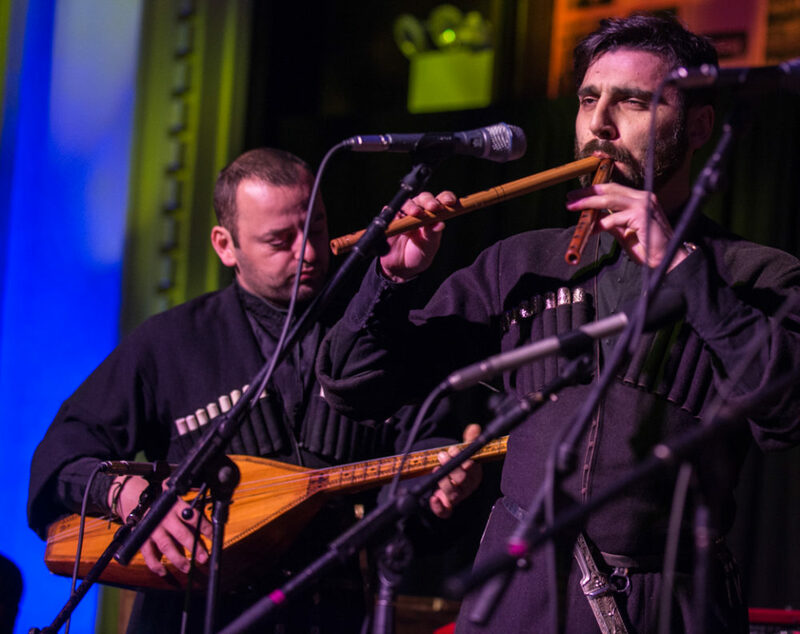 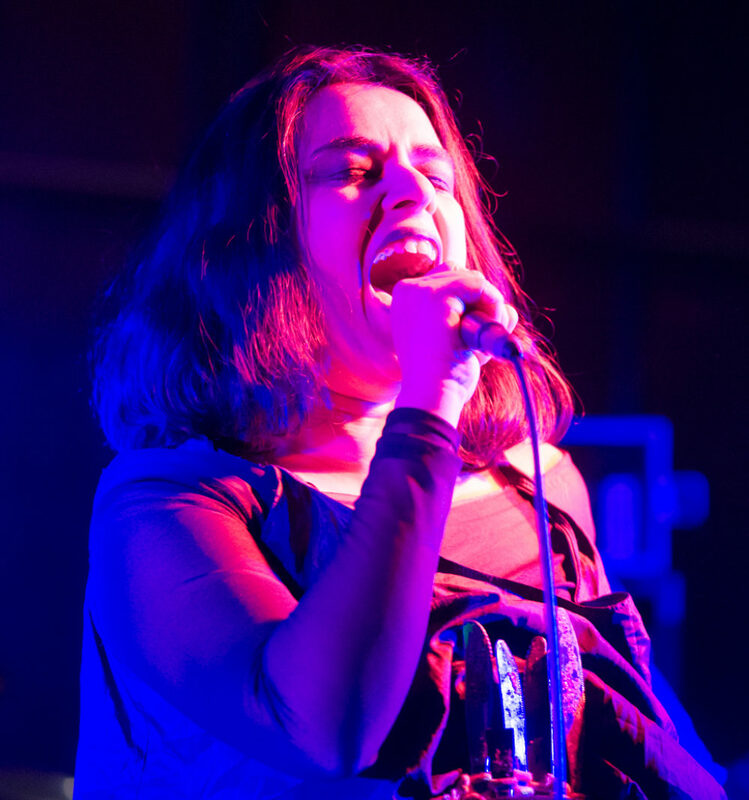 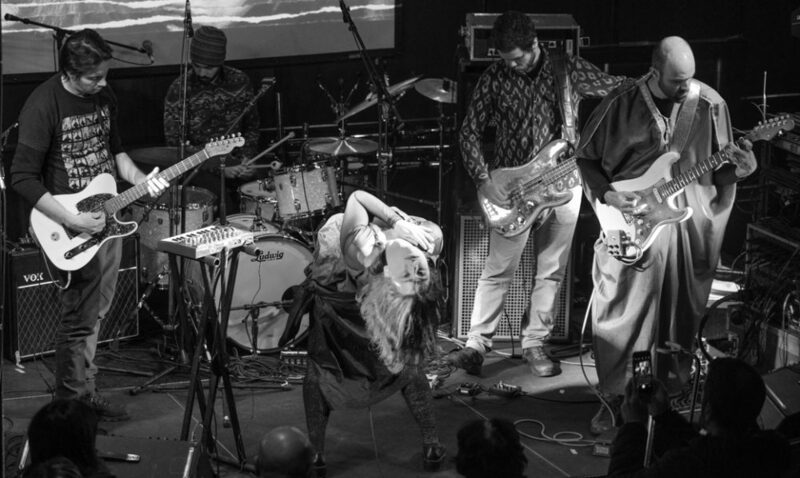 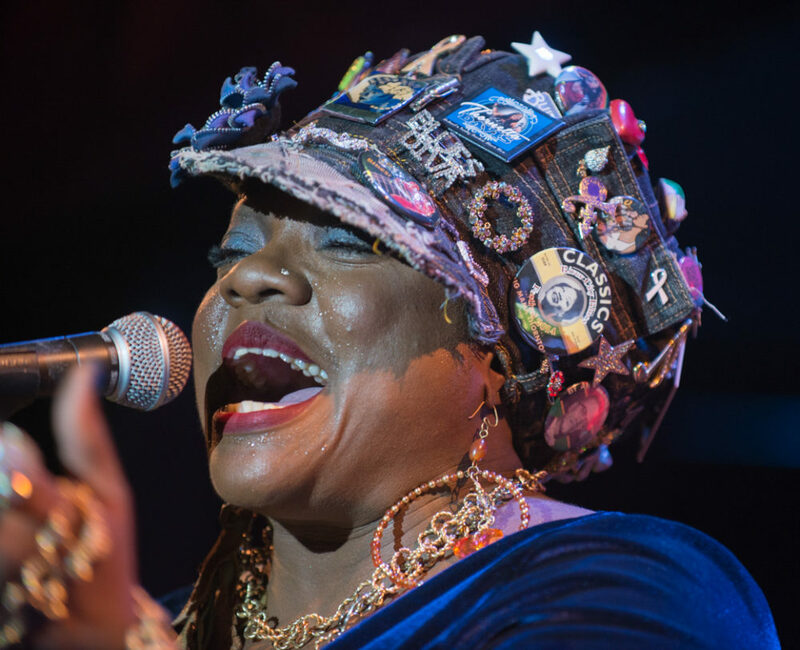 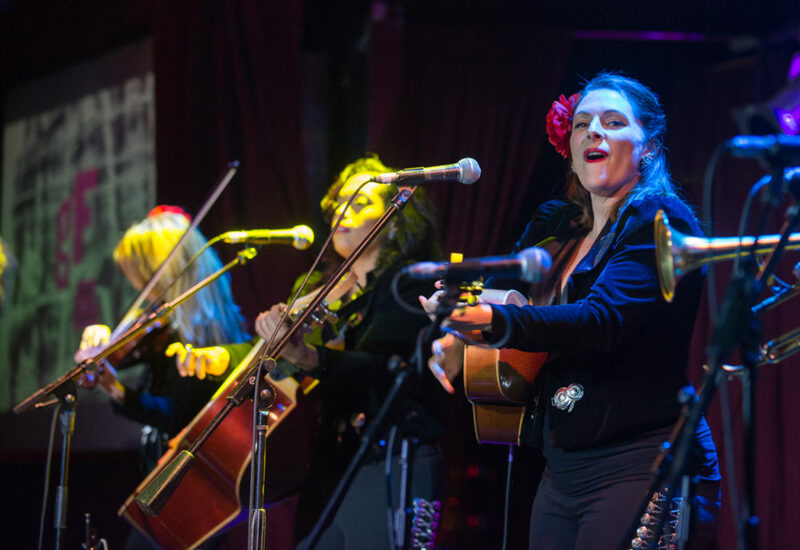 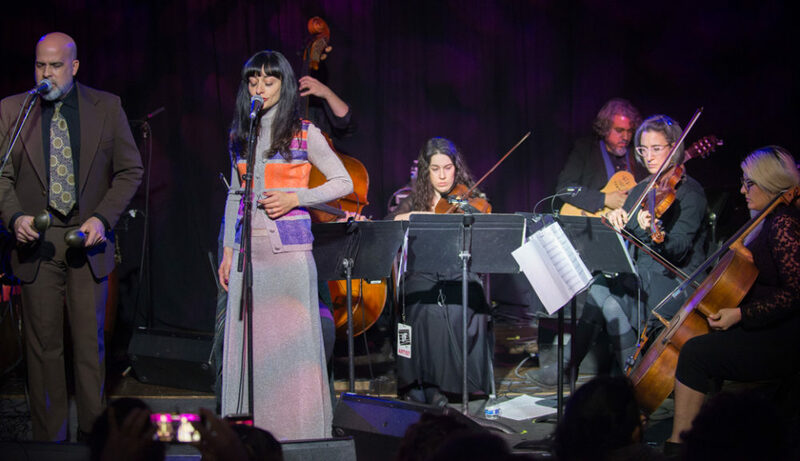 On the occasion of its 15th anniversary, New York City’s annual January world music extravaganza—globalFEST—happened in a new venue this year. 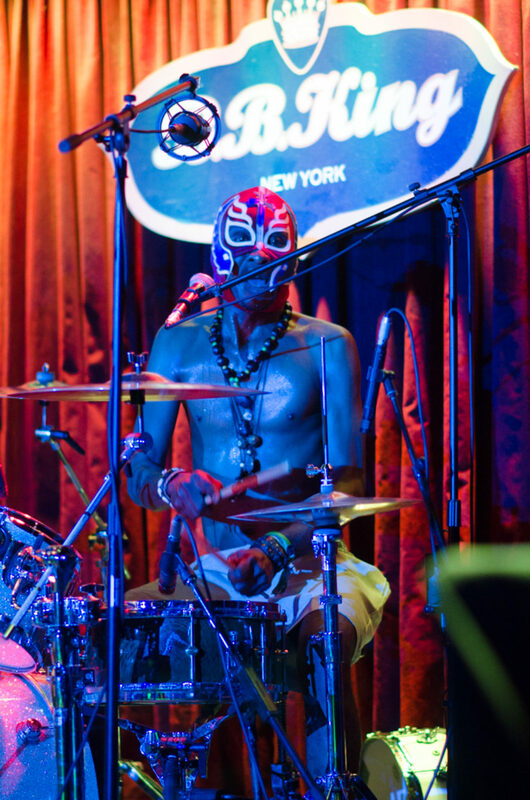 Just a block from Times Square, B.B. 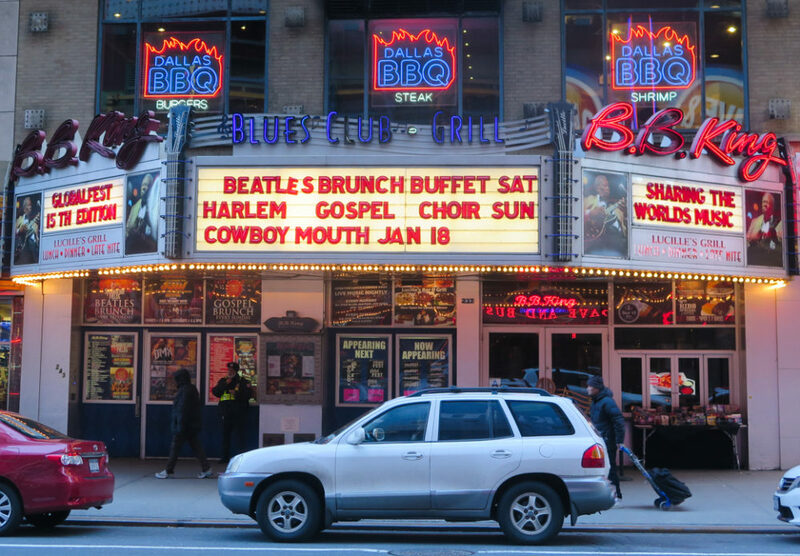 King Blues Club and Grill and adjacent Lucille’s Grill provided two of the three requisite stages, and the Liberty Theater, just across a chilly 42nd Street, provided the third. 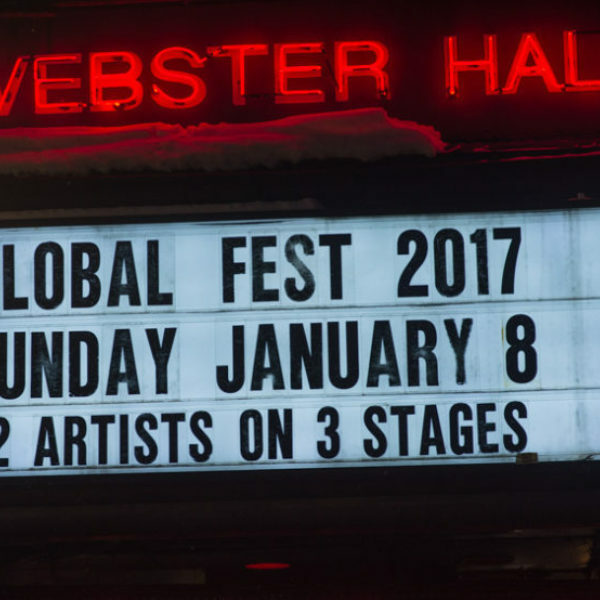 Three stages, 12 acts over the course of six hours, and an unrivaled array of top flight music from all around the world! 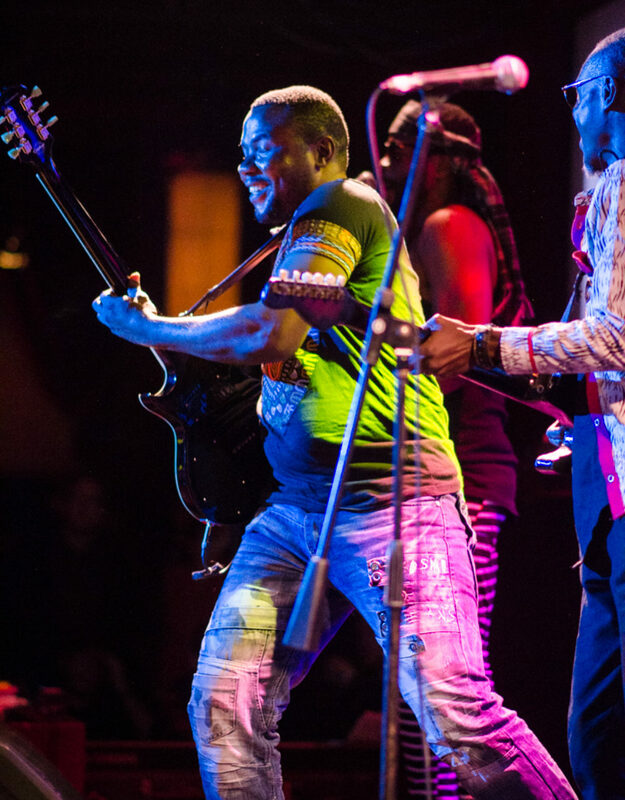 New for this 15th year was the inauguration of the globalFEST Awards, honoring three luminaries in the global music movement. 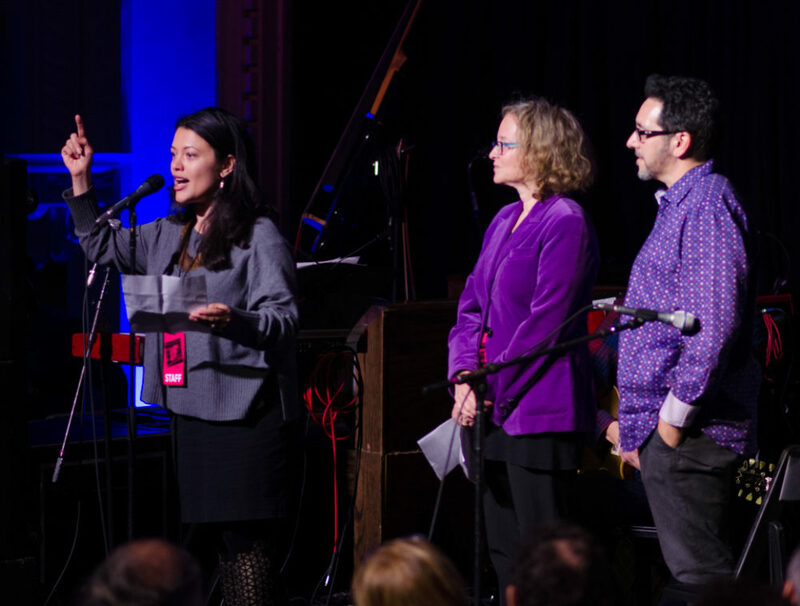 This year, the Impact Award went to Chicago Department of Cultural Affairs veteran, now a director at the National Endowment for the Arts, Michael Orlove. 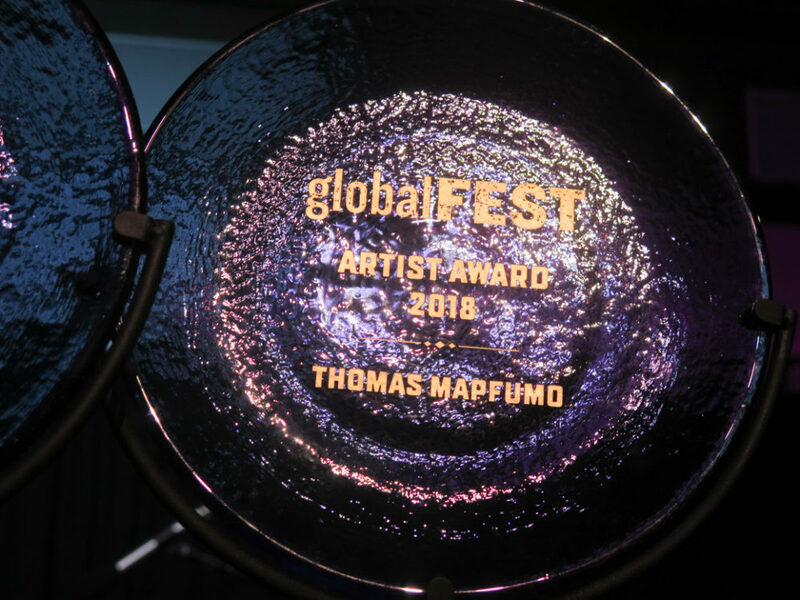 The Trouble Worldwide Award went to a widely experienced music industry veteran, most recently the creator of Future Present, an agency focused on female artists, Alexandra Nova [A.K.A. 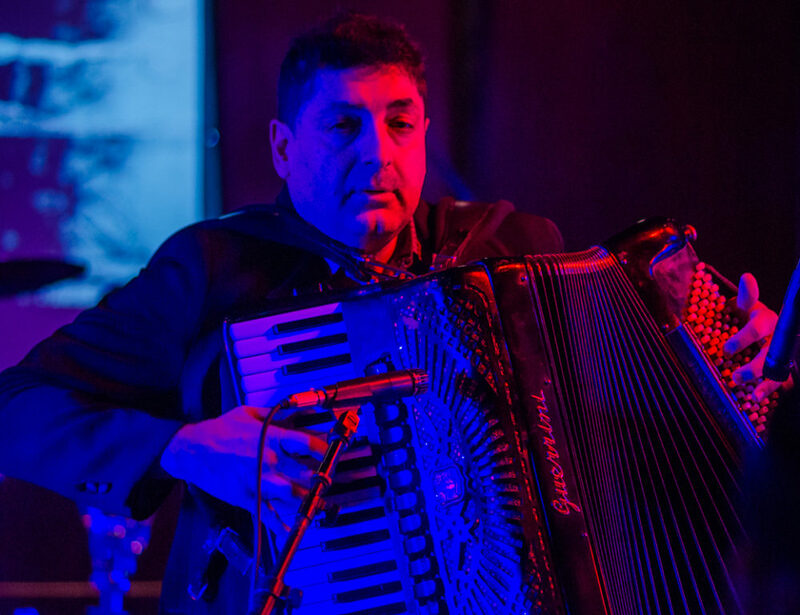 Casazza]. 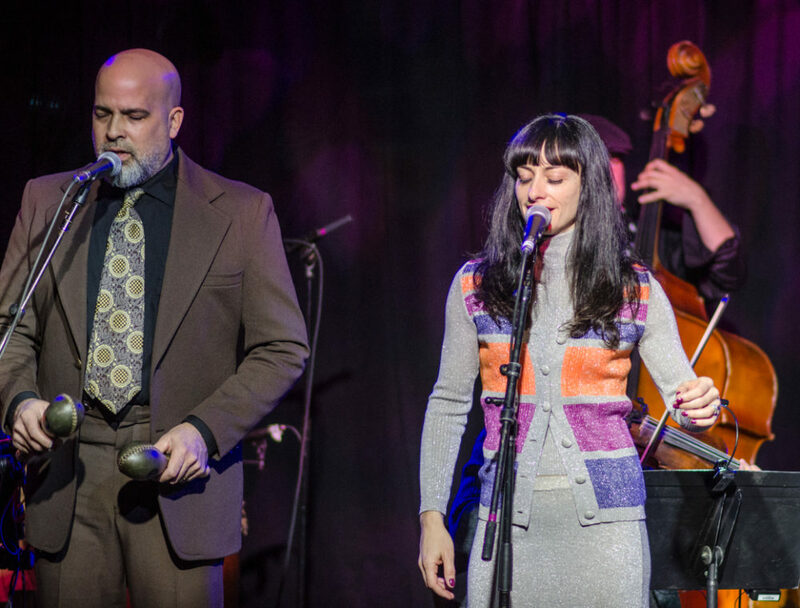 Sadly, Alexandra passed away from cancer last year, and the award was accepted by her husband Jeff. 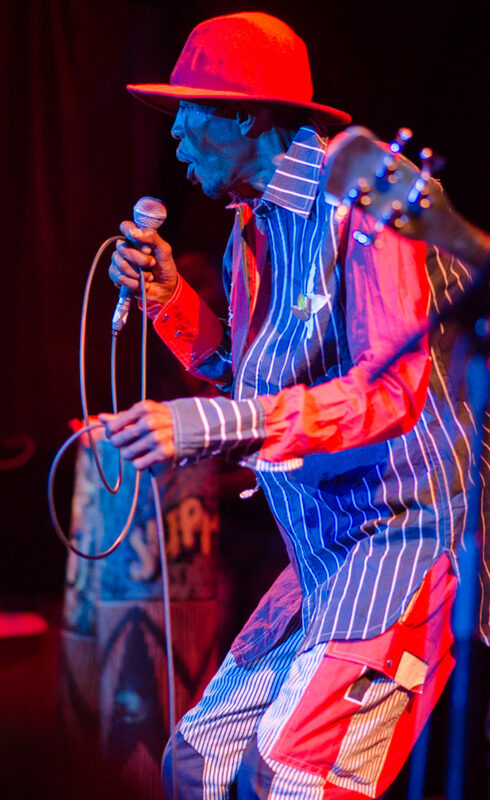 And finally, the Artist Award went to Zimbabwean chimurenga king Thomas Mapfumo. 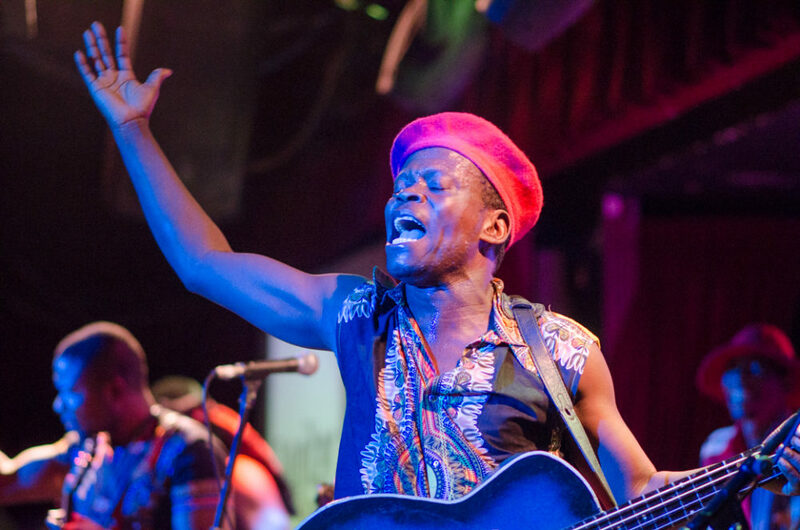 This award was accepted by his manager Austin Sibanda, and presented by our own Banning Eyre. 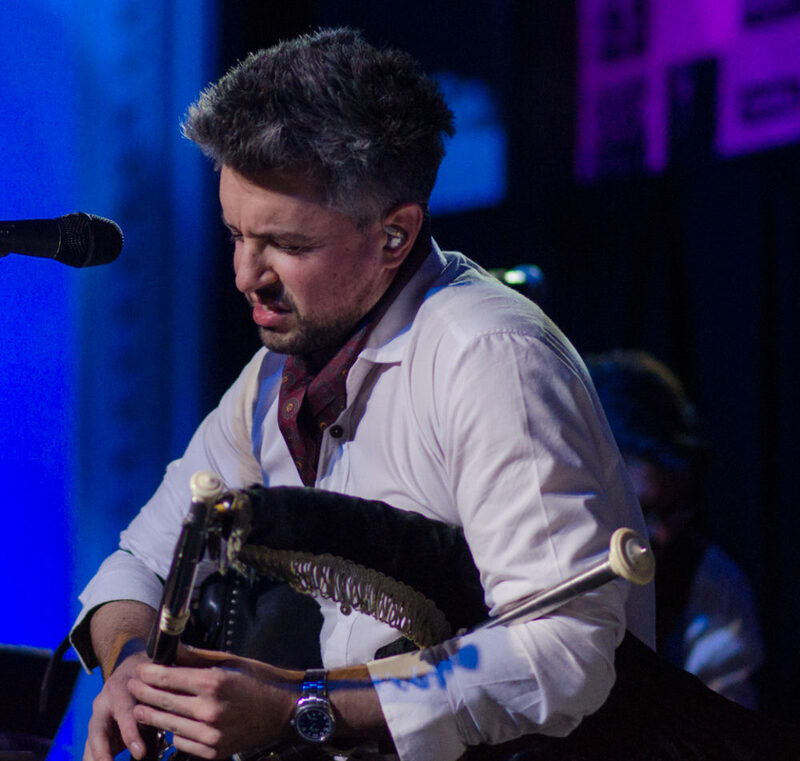 Shortly after this moving award ceremony, the music marathon began, and Banning picked up his camera. 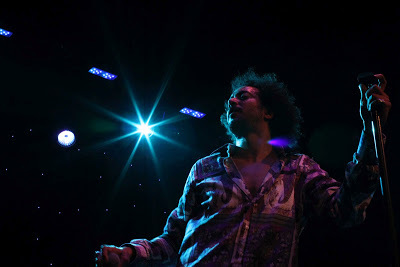 Here are some of his images from the night. 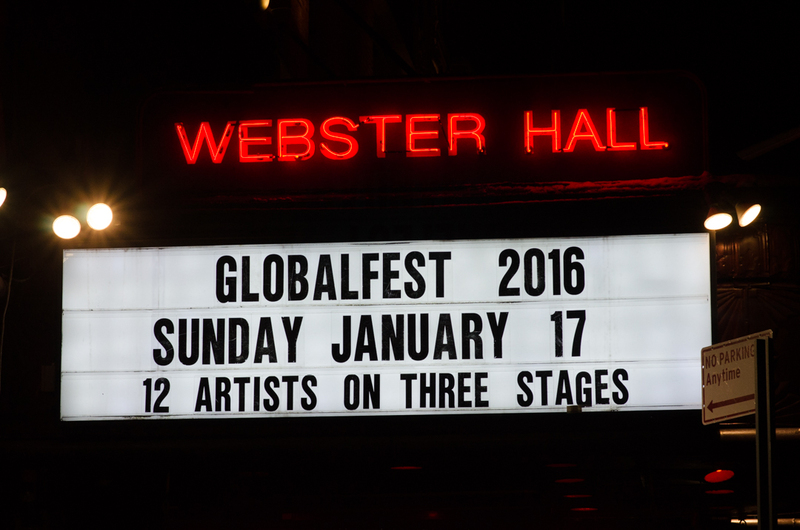 Shanta Thake, Isabel Sofer, Bill Bragin, maestros of globalFEST!